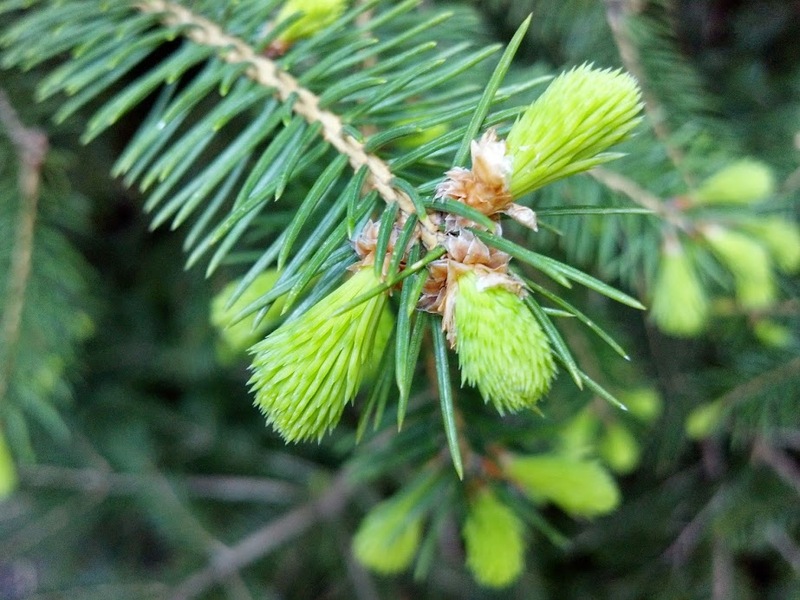 Spring is over and summer is here, that means the opportunity to collect spruce tips is now a few weeks behind us. In early May the little green buds began to appear all over Annapolis, and I managed to go out and harvest nearly a pound of the soft flavorful little sprigs. So why was I wandering around Annapolis gathering spruce tips? Because you can make some damn good beer with them. Spruce tips can either be used to bitter and flavor a beer in place of hops, or as a flavorful ingredient in addition to hops. It takes the right kind of beer to compliment the citrusy and sometimes piney flavor of the spruce, but when it’s done right it can taste like beer, candy, and Christmas got together to throw a party in your mouth. 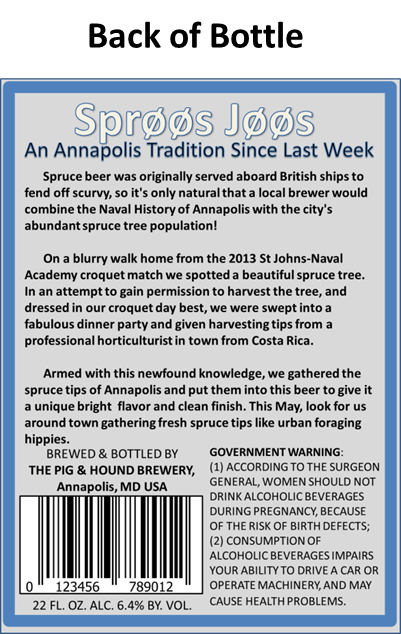 Spruce beer actually has a long history, especially in colonial America, and within multiple naval traditions. When Captain Cook sailed the Pacific in the 1700s his crew drank spruce beer to help ward off scurvy. Of course boiling the spruce probably destroyed all of the vitamin C making it useless as a scurvy cure, but being beer it probably helped ward off boredom and mutiny. Of course boiling the limbs of the spruce trees, the method Captain Cook’s crew used, likely led to a boozy concoction that tasted more like Pinesol than anything we would recognize as beer today. 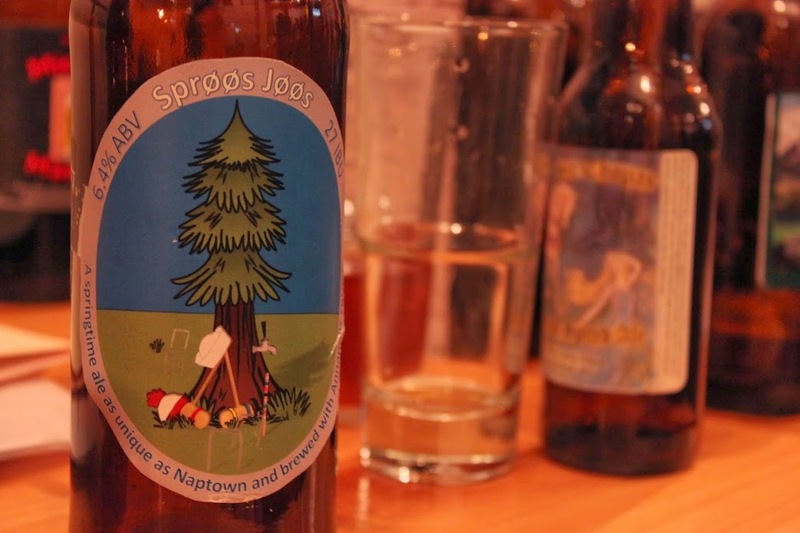 Spruce beer was also popular during the American Colonial era. Volunteers for George Washington’s Flying Camp, a fast action special reserve force, were promised spruce beer as part of their rations. But it wasn’t just the American forces that were boozing it up on spruce flavored brews. 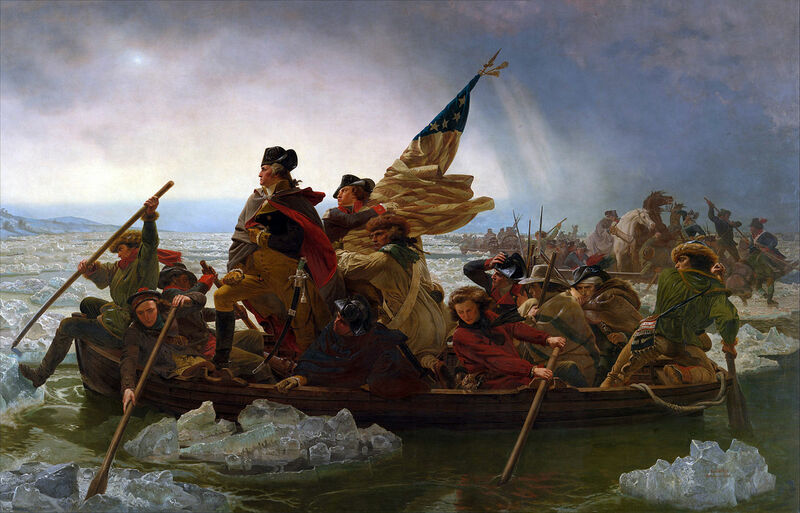 On 23 December, just a few days before Washington crossed The Delaware, British Major General Grant wrote to Hessian Colonel Donop that the King was so pleased with their actions against the American rebels that “His majesty has ordered Spruce Beer to be issued to the Troops without any stoppage.” Three days later Washington and his troops would attack and quickly defeat this hungover Hessian army in the morning hours of December 26th. It’s very well possible that we owe a little something to spruce beer for that iconic victory. Moving into more modern times there are actually a few commercially available spruce beers. 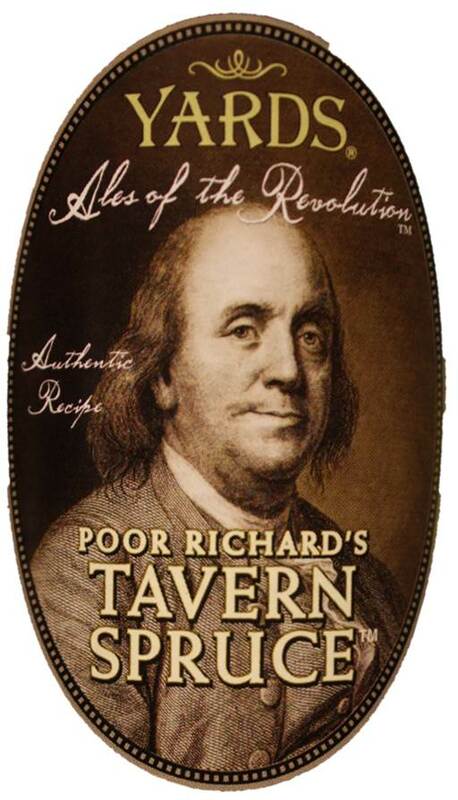 Yards Brewing Company makes their Poor Richard’s Tavern Spruce based very loosely on a recipe from Benjamin Franklin. The beer has a fairly strong molasses flavor, with dark bread, and pine in the finish. It is definitely worth trying but I personally don’t like to sit down and have more than one. A really great spruce beer that I always try to get my hands on is Alaskan Brewing Company’s Winter Ale. It’s malty and bready with a caramel sweetness. It has just enough hops to not be too sweet and just enough spruce to give it a slight citrusy flavor that lets you know there is something a little different in this beer. The only real complaint I have with Alaskan Winter Ale is that it leaves me wanting even more spruce flavor. I actually based my first spruce beer on Alaskan Winter Ale but of course I went for much more spruce in the beer. 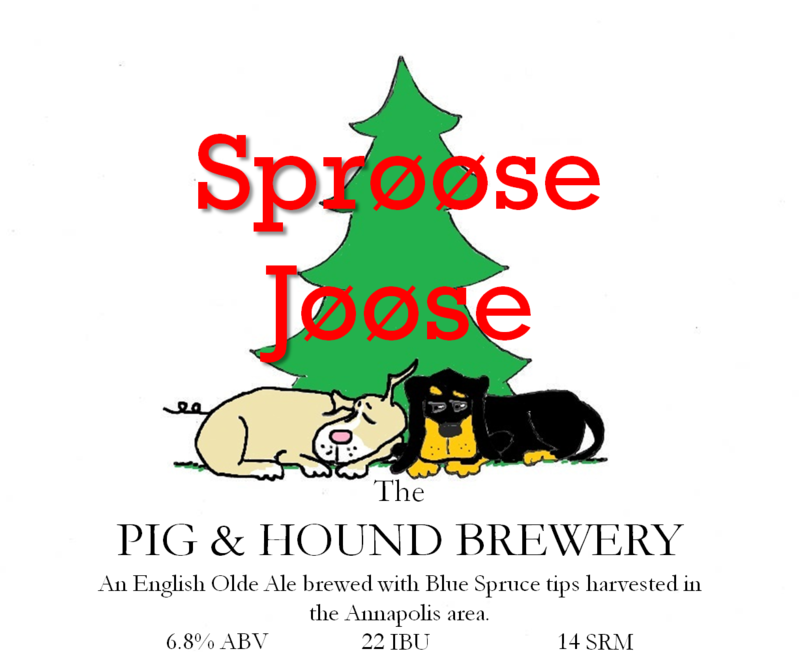 I developed my first recipe for Sprøøs Jøøs last spring when I was harvesting spruce tips around Annapolis. The beer turned out deliciously malty with plenty of spruce flavor. I served it at a fundraiser and had several people say it tasted like Christmas candy without being overly sweet. 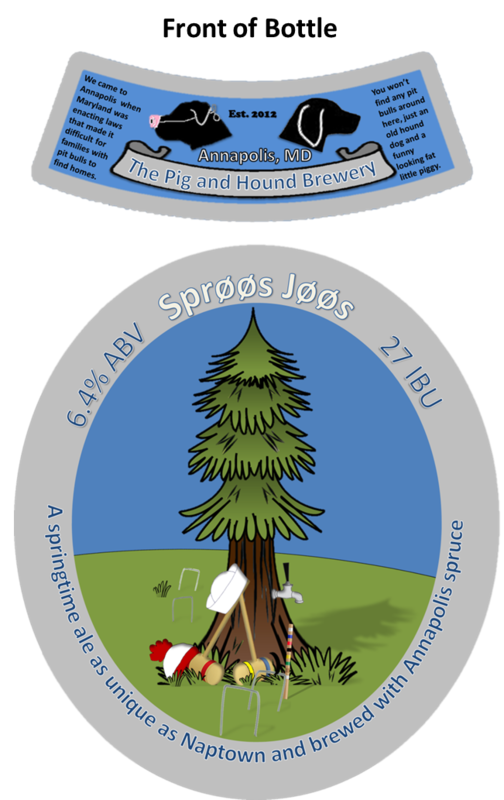 I really enjoyed the beer and rebranded it as a spring ale for a local competition since that is when the spruce tips can be harvested. I also went with a croquet theme since the idea for how to use the spruce came to me during the annual Annapolis Cup croquet match between St. John’s and the Naval Academy. This year’s spruce beer is going to be a little different. 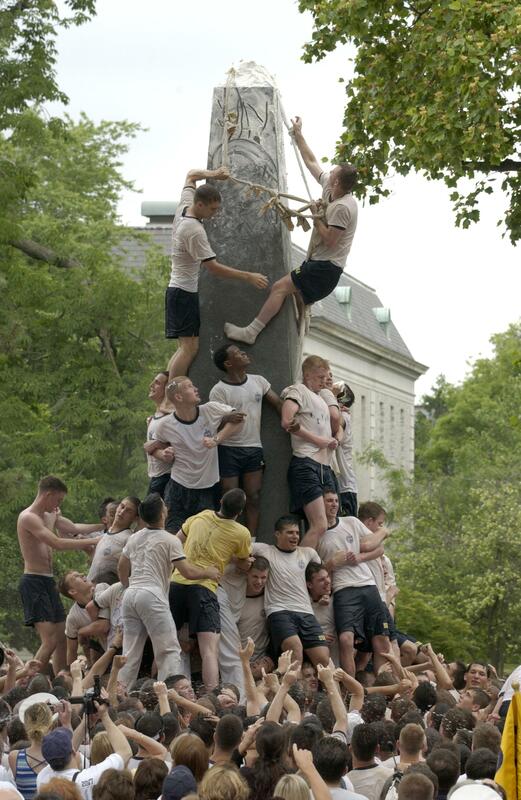 I don’t want to give away the details just yet, but trust me this beer couldn’t be more Annapolis unless it was aged in barrels sailed around the Chesapeake Bay on a skipjack, and served from a tap at the top of the Herndon Monument.